Think about it: it is likely that if you find yourself in a dire situation in which you are called on to give CPR, you will be attempting to save the life of your child, spouse, parent, or other loved one. The American Heart Association reports that 70% of out-of-hospital cardiac arrests happen inside the home – unfortunately, their report also lists that only 46% of individuals who experience an out-of-hospital cardiac arrest get the immediate attention they need. 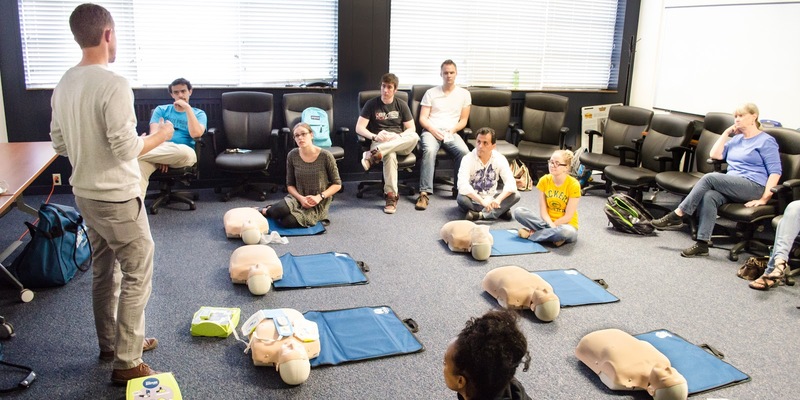 In order to promote overall public health and well-being, all able-bodied citizens should seek to become proficient in CPR and first aid…but alas, CPR proficiency rates in the U.S. remain low as a result of a few key factors. Thankfully, we’ve partnered with AppClinic to develop a suite of healthcare study apps designed to accomplish exactly that. Based on current American Heart Association Guidelines for chest compression and rhythm, award-winning learning game Saving Lives! helps players practice their foundational CPR and basic life support skillsets by administering CPR to a patient in a simulated emergency scenario. Of course, we are not suggesting the app serve as a substitute for completing a conventional CPR and first aid training course – however, the convenience of having this type of training accessible via digital / mobile allows users to practice their skills more frequently than through the use of traditional manikin-based training sessions. Much research has proven the efficacy of simulation-based medical education, and Saving Lives! stands as a shining example of game-based learning in practice. Available exclusively for iPad, Saving Lives! delivers high-quality, research-backed CPR/AED practice to users in a easily accessible digital format, making it simple for anyone – healthcare practitioners and non-healthcare affiliated individuals alike – to brush up on resuscitation best practices and keep their first aid skills in shape.